Ideal for everyday use. 100% money back guarantee. Ventilation holes for odor and sweat control. Built-in metatarsal raise corrects overpronation, fallen arches, and flat feet. Provides support for high arches. 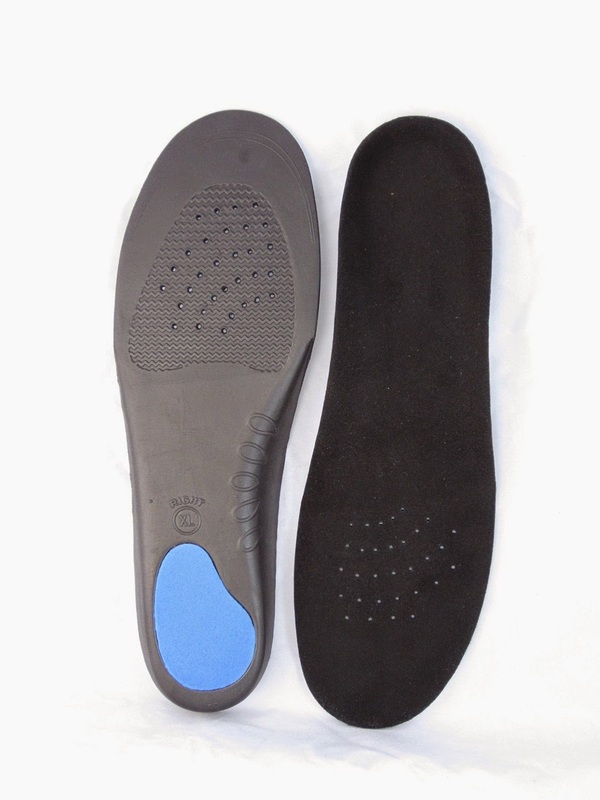 Heel cushion and forefoot padding for shock and impact absorption. INTRODUCING the ALL NEW Syono Full Length Orthotic Inserts and Insoles. 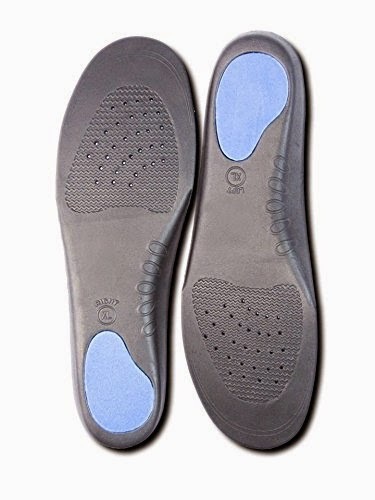 A full length pair of ORTHOTIC Insoles and Inserts developed specifically for those suffering from a various degree of foot ailments as well as those seeking something with additional arch support and comfort. -OVERPRONATION, excessive inward rolling of the foot after landing. -FLAT FEET and FALLEN ARCHES by distributing and minimizing pressure in the foot by providing additional ARCH SUPPORT. 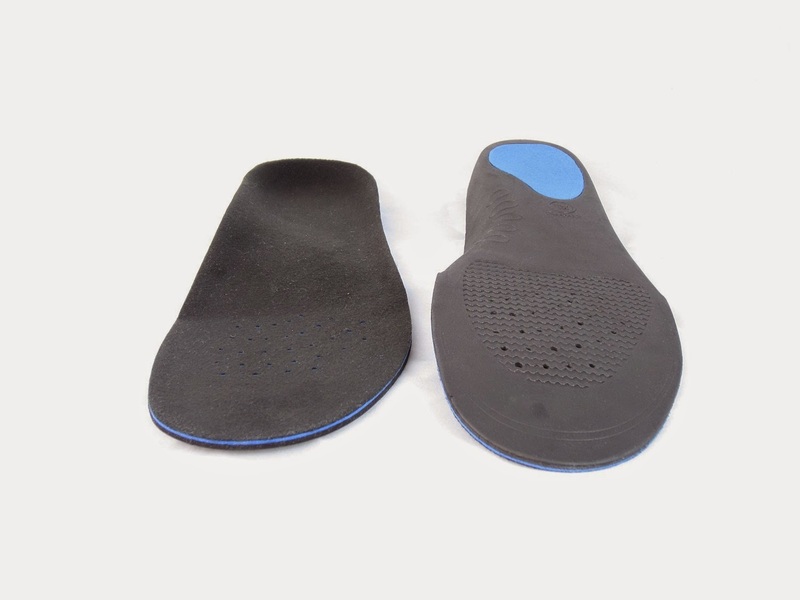 Every insole comes with a BUILT-IN METATARSAL RAISE to aid those suffering from Metatarsalgia, Interdigital Neuritis or Neuromas. Provides additional support for those with existing high arches. Every pair is TRIM TO FIT and can be adjusted down an additional two sizes. I was happy to get to try the Syono Full Length Orthotics Inserts and Insoles because my daughter has been having trouble with her feet at work and I thought this would be perfect for her to try. I ordered the smallest size because she wears a size 6 and we had had to trim them to fit in her shoes. She has no arch at all in her foot so I was hoping it would help and it has! She is on her feet all day at work and on the first day of wearing the orthotics she said it made a difference and her feet were not as sore as they normally are at the end of the day. She did say the orthotics felt stiff. I am not sure if that is because they are new or if she needs one that is softer with more cushion. I think for the price this is a good orthotic insert. Everyone's feet are different so I think you have to try them for yourself.